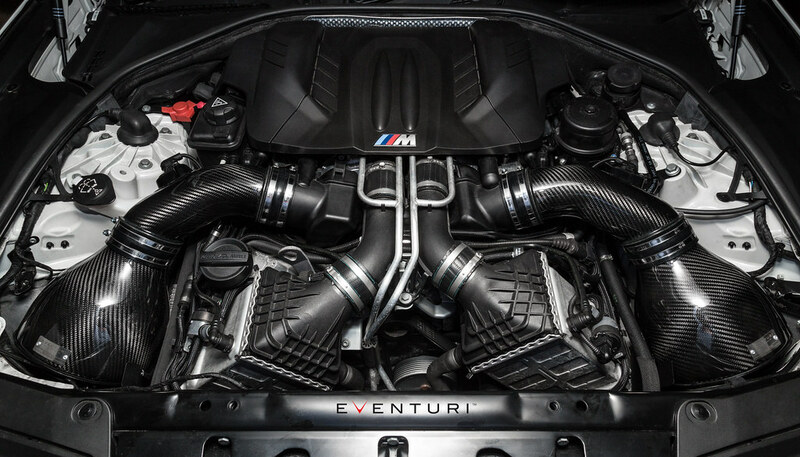 The F12/F13/F06 M6 intake system was developed through extensive dyno testing, maximum velocity tests and flow optimisation. We have developed a complete system from front air scoops to filter housings and even inlet tubes to the turbos. The resulting system is very efficient and reduces the resistance to the turbos by giving a smooth path for the airflow to travel through. 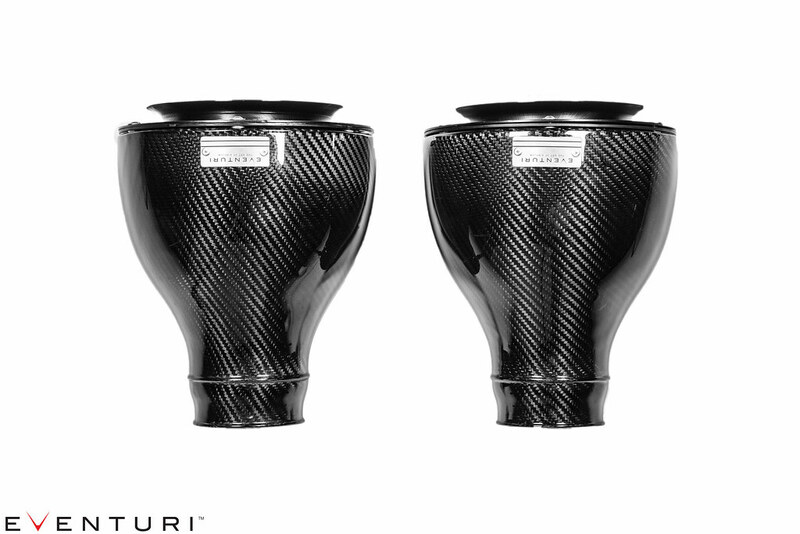 This F12/F13/F06 M6 Eventuri system uses the Patent Pending Carbon fiber Housing which provides an aerodynamically efficient airflow path from the filter to the MAF tube. 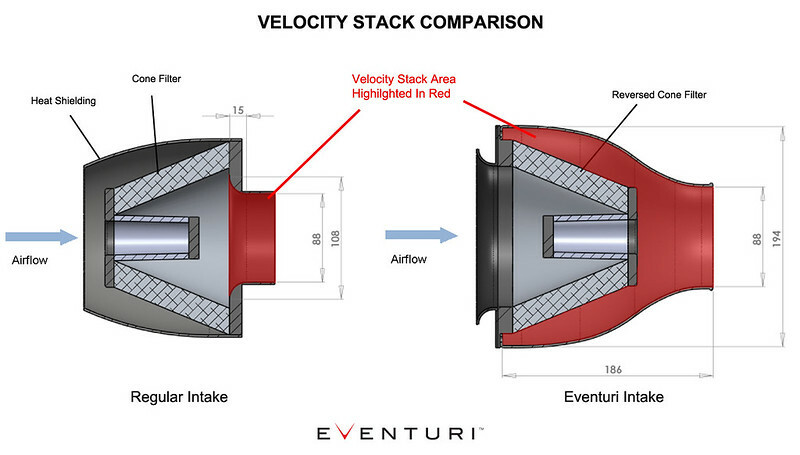 Not just another cone filter with a heat shield but a unique design which invokes the Venturi effect.